System outages bring business to a screeching halt. 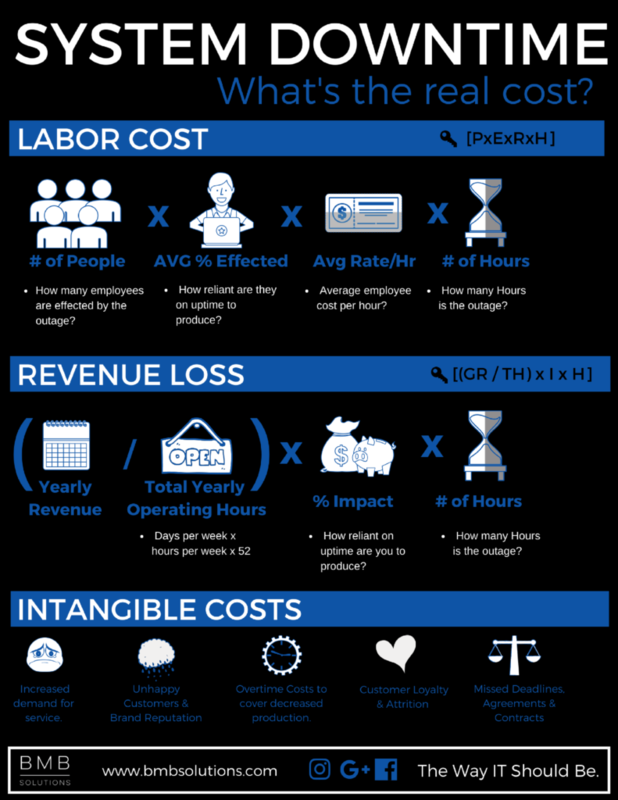 But how do you determine the real cost of an outage at your organization? You’d be surprised at all the factors involved. Everything in your business is connected. Check out the guide below to learn how cost is calculated. 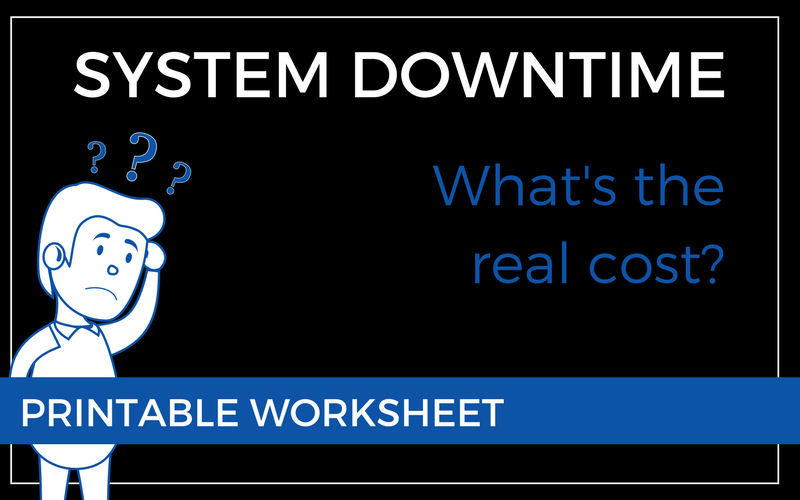 Then, grab some Quick Start Advice on Business Continuity Planning for strategies to minimize & avoid downtime altogether. No time for planning? Our team will put a backup & recovery plan in place at a price you can afford. Contact us to learn more.